Immediately after I got home the fateful day I was terminated, I sat down and wrote out exactly what happened and my recollections of the previous several years with my employment. I am a writer by nature so it was my instinct to do that and I would advise the same if you find yourself in the same situation. 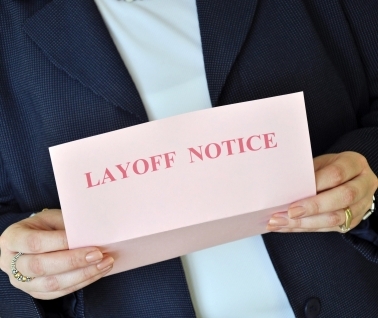 With all the economic upheaval of the last few years, many of us are subject to termination. While all the details are fresh in your mind, write them down. It’s important to use the term “terminated” because that’s what happened. Although the company wanted to call my termination a “layoff” so they could hide behind that, it wasn’t a layoff; it was a termination. I wrote about this in a previous post, “Dialysis and Your Job”. If you’re included in a “layoff” and you’re disabled, don’t refer to it as a layoff. It’s a “termination” no matter what they try to call it. In the ensuing days, I researched the EEOC website and made a list of all the information I’d need to file a claim and under what laws I could file. I discovered that I could file under ADA, for age discrimination (ADEA), and for retaliation and denial of benefits under the ADA. Buried deep in the website is a copy of the Intake Questionnaire. (If that link doesn’t work, I have a copy of it here.) I can’t recall how I found i but I tried to find it a couple other times and couldn’t. Fortunately, I had a copy of the link! This document is key to the complaint filing process. If you don’t fill it out before you visit the EEOC, they will have you fill it out then and it’s quite a task. So, get it and fill it out while you have time and resources to find all the information that’s requested in the form. I then prepared a carefully documented statement of each charge and the witnesses that could substantiate the charges. Under each charge (in bold title), I wrote a couple paragraphs describing what I believed the company did to violate the laws. I also noted the company personnel involved in my termination and their positions along with contact information for all those I listed in the document. One item of documentation I had from the company was a listing of all the people in he company showing their positions and age and if they were in the “layoff” or not. The company gave me that information as part of the termination packet. I entered all the data into a spreadsheet so I could sort the data by age and department. I separated out those in the layoff and showed how most of them were all second-shift, seasonal employees who would have been laid off anyway during the winter. What was left was me and three others who were also older and had medical problems. It made my case about both age and medical discrimination. Then, I showed just the people in my department and how I was the oldest of the group; again substantiating how I was a victim of age discrimination. I made copies of all the documents and even scanned them into my computer so I had digital copies, too. I printed out the complaint statement and wrote a cover letter noting all the attachments including the Intake Questionnaire. (Curiously this fact would become a point of conversation when I was asked to visit the EEOC office. The first thing they wanted me to do was fill in an Intake Questionnaire!) I packaged everything in a large envelope and mailed it to the the local EEOC office. That was February 16, 2012. A month later, I got a letter from the local EEOC acknowledging receipt of the complaint. A month or so after that I got another letter containing… wait for it… an Intake Questionaire! No letter, just the questionnaire. I wrote back letting them know I got it and informing them I’d already sent a completed questionnaire with the original complaint packet. Several months later, I got a call from the EEOC calling me in for an appointment to discuss the complaint. I went in on the assigned date and time and was immediately handed… a questionnaire! I had a copy of the original submittal packet with me, pulled out a completed questionnaire and handed it to the receptionist. See? I told you it would be important! Having a copy of the complaint statement would also be handy later when I met with the intake person. It’s important that you keep and carry copies of everything. Often in a large, complex operation like EEOC, the left-hand doesn’t know what the right-hand is doing. After a short wait, I met with the Intake person and we went through all the charges: ADA, ADEA, Retaliation, denial of benefits. I expected him to have the original documents I sent but he didn’t, so it was a good thing I had copies with me (again). The details and documents I presented came in very handy when the intake person had to write out the complaint that the EEOC sent to the company. He used my statement to summarize the complaint document and it saved him a great deal of work and sped up the process. Usually the intake worker would have to do this from notes taken during the interview. By providing the write up, I made sure each point was covered and all the information was there. He summarized my two pages into one paragraph but he covered all the points. After hearing everything and, especially, seeing the spreadsheets he agreed that I had a good case and it should go to mediation. He was especially attentive to the fact that I was denied a benefit. Rather than termination, the company should have let me go out on disability and be covered by that insurance which would have given me a comfortable income. But, they made their choice and now they will have to face the EEOC. What’s important is that I didn’t leave anything to chance. I prepared my documents, statements and spreadsheets. 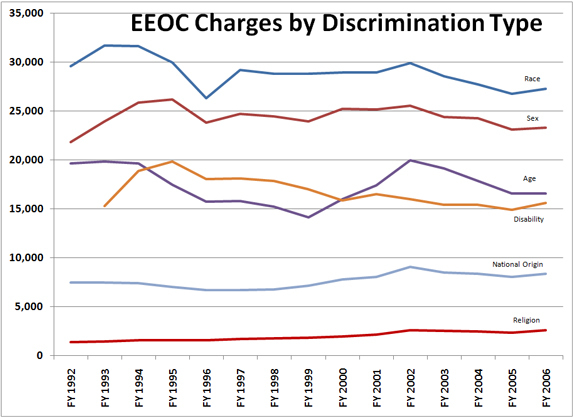 I didn’t leave it up to the EEOC to make the case for me. I made it for myself. They see hundreds of cases each year and you have to clear this first hurdle. In spite of the fact that you “feel” you been discriminated against, you need to substantiate it. Be your own advocate. Update 1/20/13: It’s been a couple months since I’d heard anything about my case so I sent a letter to the last person I talked with at the EEOC. When we last met, he said to expect something in November. This is now January and I hadn’t heard anything. He responded the day he got the letter and gave me the phone number of the person who would conduct the mediation. He said he was working on scheduling the date for the mediation. That’s good news. If I don’t hear from him in 30 days, I’ll write again. You have to be a squeaky wheel… but not too squeaky! In the meantime, I will prepare for the mediation. It’s very important to be prepared for this so you get all your points across. I will post more about this later. To read about what happened later, READ THIS. This entry was posted in ADA, ADEA, CKD, disability, discrimination, EEOC, ESRD and tagged ADA, ADEA, Americans with Disabilities Act, dialysis, disability, employment, ESRD, kidney. Bookmark the permalink. My aunt is taking FMLA intermittently, but is newly on dialysis and took some time when she almost died last month waiting to start (prior chemo ruined most of her veins and when they tried the dialysis the first time they blew it out). To go to dialysis she leaves at noon two days in the work week, instead of 5pm, and does her third day on Saturday a non work day. They were calling her in for the meeting about her FMLA sos I wrote her a letter where she re-advised of her disability and that this need for dialysis is for life and that she is requesting a modification to her work schedule to permit her to continue getting dialysis and working. She also has requested to be permitted to do some work from home, which the company is able to do based on their computer system, but they refused. My aunt was informed by her employer (a medical facility) that after her FMLA runs out, they will post her position to hire someone new. As the “adverse action” has not taken place yet she is scared to do anything but of course does not want to lose her $12/hour job and insurance that she needs for her medical care. Any recommendation would be helpful as I am just shocked at their refusal. There’s not much that can be done before the company take their action but after that, she can file a complaint with the EEOC under the ADA and ADEA protections. The employer is supposed to provide “reasonable accomodation” for a disability but some don’t see dialysis as a disability. Why? I don’t know. My advce is to make sure you keep copies of all notes and memos you write and those you get from the employer (keep a copy at home, not in the office). You aunt has made attempts to reasonable accommodate but the employer doesn’t seem to want to cooperate. She should also apply for disability from the company Disability Insurance. Do that IMMEDIATELY! It’s complicated because of all the hoops one must go through but it’s better that Social Security Disability.